Has an Income Hit made you a FOFA Victim? – Why can some of your competitors increase their fees while you have to struggle with yours? – When you lift your fees, do you lose clients? – Are most of your clients only interested in Price? – Are You a Price Taker? you don’t have a business… you have a charity! Imagine if you could increase your prices by 20%, 30% or more … you could probably spend fewer hours in the office, or servicing clients, while earning more!. Would that make a difference to your bottom line? In just two months, using Greg’s pricing strategies, we are now implementing a 20% fee increase with our clients which is resulting in a 70% increase in our net income. After presenting the changes in the way Greg recommended, almost all current clients have agreed to the increase. Increase your prices without losing sales! 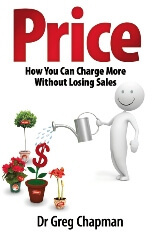 Price: How you can Charge More without Losing Sales. When you increase your fees, the extra income goes straight to the bottomline. A 10% increase in fees can double your net profit. and just one step along the way to higher fees. So while you are completing your professional obligations under FOFA, you are also learning how to become reassuringly expensive! With the simple-to-implement strategies that you learn about in Pricing for Planners Training Workshop you will see how you can easily increase your prices by 20%, 30% and more! In fact I guarantee it! Just let me know before the end of the Workshop that you are not 100% convinced that what you have learnt during the day will give you at least a 10 times return on your investment in this program, and you will receive a FULL Refund – No Questions Asked! If you enrol today then Greg will throw in some very special bonuses. How much is your time really worth? This valuable tool will help you determine how you should calculate and set your prices so that you not only break even, but also make a handsome profit and avoid negative cash-flow. Struggling to figure how to increase your rates to the level that fits with both your lifestyle needs, and the value you deliver? This tool will take the guess-work out, by giving you the real numbers you need to work with to have a successful business and which prices you should increase first. You can’t increase your prices without this critical tool which will help you determine your cost-volume-profit equation, or how much volume of product you must sell in order to make a profit. You will be able to run reports for various sales volumes and unit prices for each product, so you have an accurate picture of how profitable your business needs to be for you to achieve your financial goals and targets. You’ll not only be able to determine the correct price levels for every product you sell, but also determine what efforts make good business sense. BONUS GIFT #5 – Complimentary Business Evaluation ($297 value) of your business by Dr. Greg Chapman. 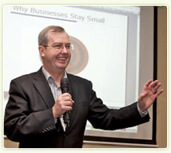 Greg has worked with thousands of business owners and professionals from all major sectors in Australia and abroad. Often, he can take a quick look and make simple suggestion that have a dramatic effect on your business. He is an expert who spends more time tackling tough business issues on a day-to-day basis than most people you will ever come in contact with. This bonus alone should cover your investment. Your business will never be the same again, following this thorough business evaluation. Be sure to secure your seat for the Pricing for Planners Training Workshop NOW at this limited seating event. 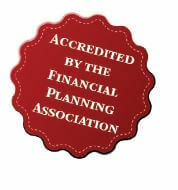 “PRIORITY” Booking Form for the “Pricing for Planners Training Workshop” with Dr Greg Chapman. YES, Greg! I want to learn how to become a Price Maker and multiply my profits. I look forward to meeting you at the event and unlocking the Price Potential in Your business. P.S. Please feel free to invite a friend or business associate to attend this training so they can learn to be a Price Maker too. P.P.S. Remember, Greg offers you an unconditional guarantee. So you have NOTHING to lose – and you can keep the BONUSES even if you request a refund. P.P.P.S. Seating is very limited and will Sell Out fast so act now and do yourself a HUGE favour and try out my live “Pricing for Planners” Training Workshop. P.P.P.P.S Don’t forget you get two CPD points for just attending this workshop.